Author Therese Poletti has been a journalist for 20 years. She first became intrigued with the life and work of Timothy Pflueger while researching a downtown walking tour for San Francisco City Guides, a volunteer organization. Poletti conducts the Downtown Deco tour, which has many Pflueger buildings. 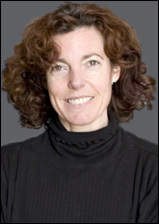 Poletti is currently a senior columnist at MarketWatch, where she writes a twice-weekly column called “Tech Tales.” Previously, she was with the San Jose Mercury News. She also worked for over a decade at Reuters, both in New York and San Francisco, and has won various awards for her coverage of Silicon Valley and the technology industry. She is a graduate of Columbia University's Graduate School of Journalism and has an undergraduate degree in English, Comparative Literature, from Santa Clara University. She has also written for The Argonaut, a twice-yearly journal published by the San Francisco Historical Society, and the online edition of Preservation, the magazine published by the National Trust for Historic Preservation, VIA Magazine and The Wall Street Journal. Poletti was first introduced to Pflueger’s work by her mother, who took her to the elegant white marble I. Magnin store on Union Square when she was about 13. She dedicated the book to Peg Poletti, who was also an artist, a writer, a columnist, an astrologer and a very loving mother. Photographer Tom Paiva is a professional, freelance photographer based in Southern California and has had his own business for over 15 years. 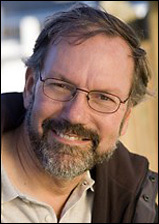 He specializes in large format photography of industrial and maritime settings, as well as architecture and interiors. Paiva has over 70 cover images for various trade magazines to his credit. He has published a book, Industrial Night, containing 46 color images of industrial settings at night. He is also prominently featured in a book by Jill Waterman, "Night and Low-Light Photography," with about a dozen images and several pages of text describing Paiva's work and shooting style. His long term passion is night photography and he loves to create images of urban and industrial settings. He was a cofounder of The Nocturnes, a group of night photographers who had a landmark exhibit in San Francisco in 1992. Paiva has co-lead photo workshops on night photography and view camera use over the past six years and has had several articles on these subjects in photographic magazines. He was educated at the San Francisco Academy of Art, where he earned a Bachelor of Fine Arts degree. He was an Artist in Residence at the ship "Jeremiah O'Brian" in San Francisco in 1993. Paiva began shooting the color images for "Art Deco San Francisco" on the summer solstice, where he was able to capture some of Pflueger's buildings in full summer light. 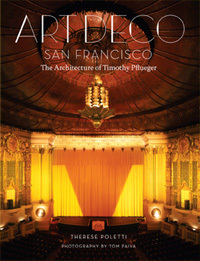 His stunning full-color photographs showcase Pflueger's work today in modern-day San Francisco. More of Paiva's work can be seen at his Web site, tompaiva.com.